The Duke and Duchess of Sussex made their debut on Instagram earlier this week, delighting fans by sharing a previously unseen photo from their time in Fiji as part of their first post on the social media site. Now the royal couple have done it again, sharing a host of never-before-seen pictures with their fans, giving them an insight into their romantic trip to Botswana in August 2017, which took place just three months before their engagement was announced by Buckingham Palace. Prince Harry and Meghan, who will celebrate their one year wedding anniversary next month, released the personal snaps to their new Instagram account showcasing their time together in the African country. The first image shows Harry hugging an environmental worker, while another shows the duke chatting with a group of young children. A third photo shows the duke and duchess working together to put a special satellite collar on an elephant, followed by a short video of the elephant getting back on its feet. 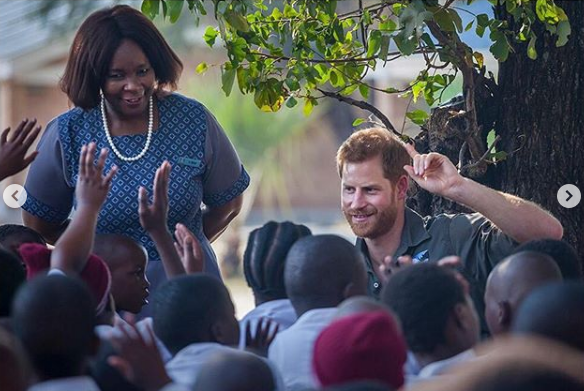 “As president of @africanparksnetwork, the Duke of Sussex continues to advocate for the communities and wildlife that coexist in some of the most vulnerable environments around the world,” the post read. 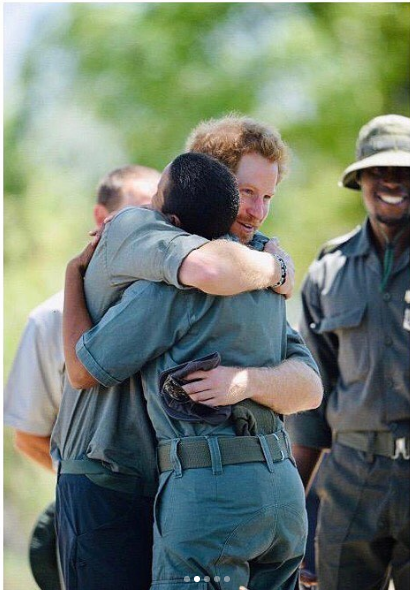 The post continued to explain the prince’s recent work in the area of conservation, in particular his love of Botswana and travels to the country with wife Meghan. “Prince Harry’s long time commitment to this cause as well as a glimpse into the work he and the Duchess of Sussex did in 2017,” it read. “Their Royal Highnesses travelled to Botswana to assist Dr. Mike Chase of Elephants Without Borders in equipping a bull elephant with a satellite collar. “Approximately 100 elephants are poached/killed every day for their ivory tusks. Using satellite technology allows conservationists to track their critical migratory patterns and to protect them and the local communities from human wildlife conflict. The country holds special significance to the young royals who have travelled to Botswana twice during their relationship. According to magazine Harper’s Bazaar Harry and Meghan first traveled there only a few weeks after they met. Botswana made such an impact on the couple, that the duchess’ engagement ring even includes a centre diamond from the country. Are you a fan of Prince Harry and Meghan? What do you think of the work they do to help others?